Mental ill health is fast becoming a pandemic, with the government estimating that £42bn is being lost in revenue each year due to workers’ chronic levels of stress. Figures published in the government’s recent Thriving at Work report revealed that mental health-related absenteeism costs 300,000 Brits their jobs a year, and accounts for £42bn in lost revenue. Stress in this context isn’t simply feeling a little uptight; it refers to chronic levels of anxiety that often lead to a condition dubbed “burnout", the end-stage consequence of sustained workplace stress. There’s no real consensus, medically speaking, on what burnout is exactly, but Psychology Today describes it as: “a state of chronic stress that leads to physical and mental exhaustion, cynicism and detachment, and feelings of ineffectiveness and lack of accomplishment”. This isn’t a state of mind that comes about naturally: it’s the symptom of unrealistic and pressurised expectations that come part and parcel with some job roles. So how can we encourage employees to achieve their full potential without risking burnout? The key is understanding healthy mindsets. If we treat burnout as a medical condition then we need to frame its solution in terms of prevention rather than treatment. Every person will have a different level of tolerance or resilience to the causes of burnout, however the goal is to ensure that individuals have been given the tools to combat stressful situations with positivity and reflexivity. 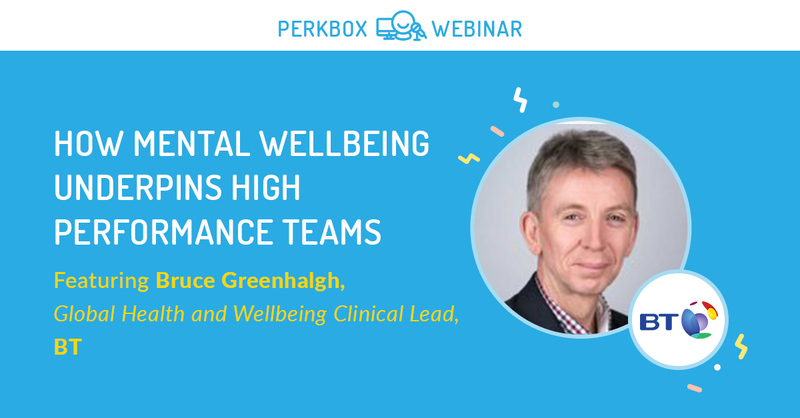 To teach us how to encourage high performance and avoid burnout, we’re joined on 27 June by Bruce Greenhalgh, Global Health and Wellbeing Clinical Lead for BT. In this role, Bruce has identified the key ingredients that make up high performing teams and developed strategies that every leader can use to combat organisation-wide stress and burnout. The criticality of wellbeing in high performance. How to ensure your wellbeing programme is fit for purpose. The role of mindfulness in wellbeing.